Well now Ferrari have tapped into their rich heritage, more specifically the heady time of the 1950s when Barchettas zoomed around the streets, to present their latest offering: The Monza SP1 and SP2. With inspiration coming directly from the 1948 166 MM, 750 and 860 Monza, Ferrari have released these two gorgeous models which are the first of their new “Icona” range. As you can imagine, the lucky few who will get their hands on these are more than likely already known to Ferrari and will be serial prancing horse collectors and clients. Which, to be completely honest, makes a lot of sense. So what do we know about these two roofless beauty’s? First up and most obviously, there is no roof, nada, zilch. The only things you will find in front of you as you drive is a steering wheel, a protective cover and then the very pretty sleek bonnet. This gives the Monza an aesthetic unlike any car on sale and will likely give the driver that formula 1 driver feel, which is exactly what Ferrari are aiming for. Secondly, these promise to be exceptionally fast. At the front you will find the most powerful engine ever to leave Maranello, a 810cv V12 which can launch the Monza SP2 and SP1 to 100km/h in just 2.9 seconds. That is seriously fast and given you are open to the elements while this rocket is charging down the road, it is going to feel even quicker than that. Thirdly, the Monza is riddled with carbon fibre and clever tech. The bonnet, the bodyshell and the interior and are dripping with the light weight material to reinforce the sporty nature of the Monza. One of the biggest challenges of the Monza was addressing the aerodynamic performance of a car with no windscreen. Ferrari’s answer, they simply fitted a “Virtual Wind Shield” that diverts air away from the driver. No windscreen, no problem. Add to all this the doors which open upwards you could, arguably, call this a work of art rather than a car. Lastly, why the SP1 and SP2? 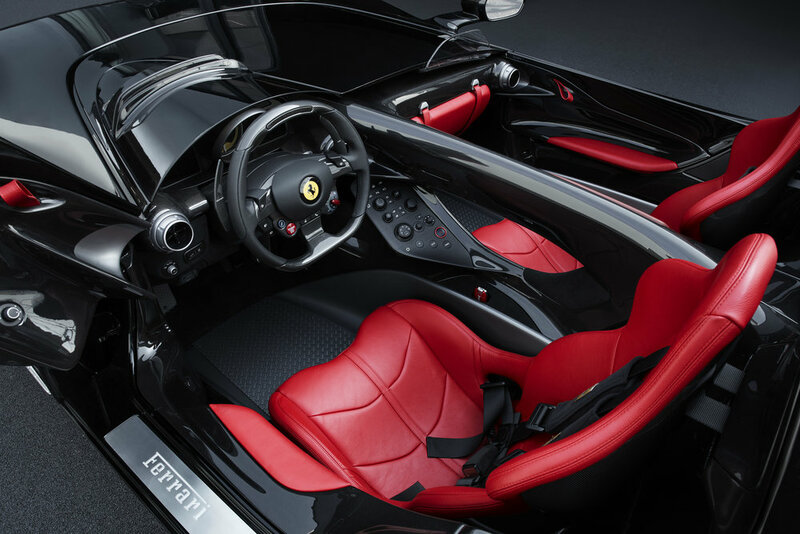 This is simple; the SP1 sits one person, the driver with the SP2 having room for a passenger to experience the blistering performance of the new Monza. Ferrari are a brand that still have that ability to surprise and inspire. The release of such visually stunning and performance focused cars show why they are one of the giants of the motoring world. Older PostWhat are the most and least reliable luxury cars you can buy?